Brent oil jumped to a four–month high on Thursday on fears a new wave of political turmoil in Egypt could disrupt supplies through the Suez Canal. Unrest has reawakened in Egypt after a brief period of stabilization, and with protesters taking to the streets and the death toll mounting, oil prices are soaring over fears of instability. Follow RT’s live updates of the Egypt crisis here. Brent futures advanced to a fourth-month trading day high, hitting $111.23 per barrel at 14:02 MST. "I think Brent has the potential to go as high as $113 to $114 but not much higher," Michael Hewson, an analyst at CMC Markets, told Reuters. September futures of West Texas Intermediate oil (WTI) rose to $107.84 a barrel at 14:02 MST, gaining for the fifth day. Futures in London climbed as much as 1.2 percent, the highest prices since April 2. 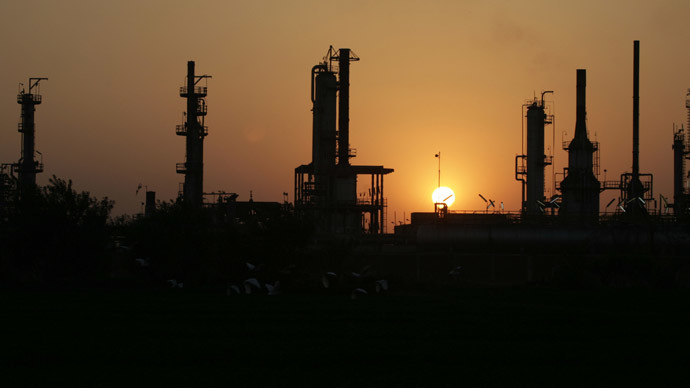 Oil prices were in part boosted after US crude inventories fell 2.8 million barrels, hitting a stockpile low since March 2012, the Energy Information Administration (EIA) announced Wednesday. A decline of 1.5 million barrels was expected. Egypt declared a month-long national state of emergency on Wednesday, following deadly clashes between police and supporters of ousted President Mohamed Morsi. Local news reported Morsi would be held in detention for another 30 days, which could further fan protest movements. “Investors can’t ignore such a situation, as in the race for power the Suez Canal will be a weighty asset, the ownership of which will give a chance to one of the parties to come to terms with the outside. This is exactly the background against which oil prices are growing,” Aleksey Pukhaev wrote in an e-mail. When Morsi was overthrown in July, WTI prices surged 8.8 percent. Traders are most concerned turmoil in Egypt could escalate to a level where protesters could feasibly disrupt oil and commodity shipping through the Suez Canal, situated about 125 kilometers east of Cairo. 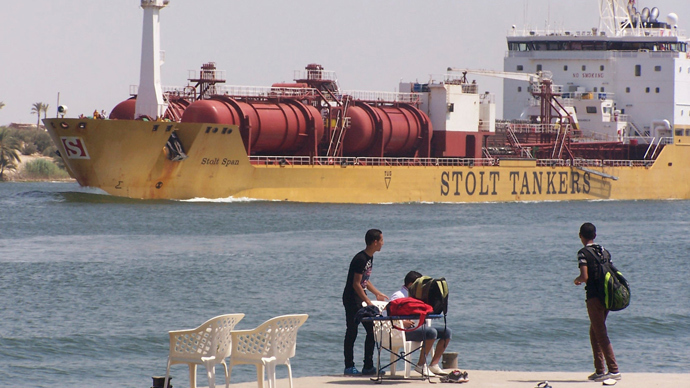 “Disruptions at the Suez Canal are unlikely, but markets never move on what’s likely. They move on fear. If people are fearful about supply, they buy even if the market is fundamentally well supplied,” said Hewson. A crucial trade route, the canal handles 800,000 barrels of crude a day. “If there is any disruption or if the violence results in the shutting down of the canal, the impact will be quite severe," said Carl Larry, president of Houston-based consultancy Oil Outlook and Opinions. 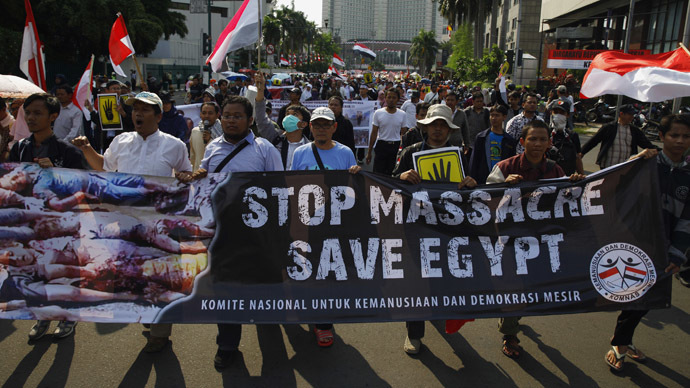 Egypt’s military has made safeguarding the Suez Canal and the Suez-Mediterranean Pipeline from protesters a priority. Egypt itself doesn’t produce oil, but many of its North African neighbors depend on the trade route as an export means, and if it closes, it would create a bottleneck for main trading routes, which would send fear into the oil investing market. Middle East and North African countries account for 36 percent of global oil production. By EIA estimates, a combined 4.51 million barrels of crude and refined products passed through Egypt’s gateway in 2012.